Duncan come home! – Forest & Bird Duncan come home! In 2011, Duncan – our endangered kokako – disappeared from our pest controlled sanctuary in the Waitakeres and two years later he has turned up in suburban Glendowie. Yes, that’s thirty one kilometres from his home. As you’ll know kokako aren’t great fliers, so great mystery surrounds why he decided to take this flight of fancy across motorways and highways, and why Glendowie seems to be his resting spot. Fortunately for Duncan, he seems to be surrounded by friends. He was discovered by a birder in the region who spotted this endangered bird (only 750 pairs to its name) and called DOC to establish his origins. 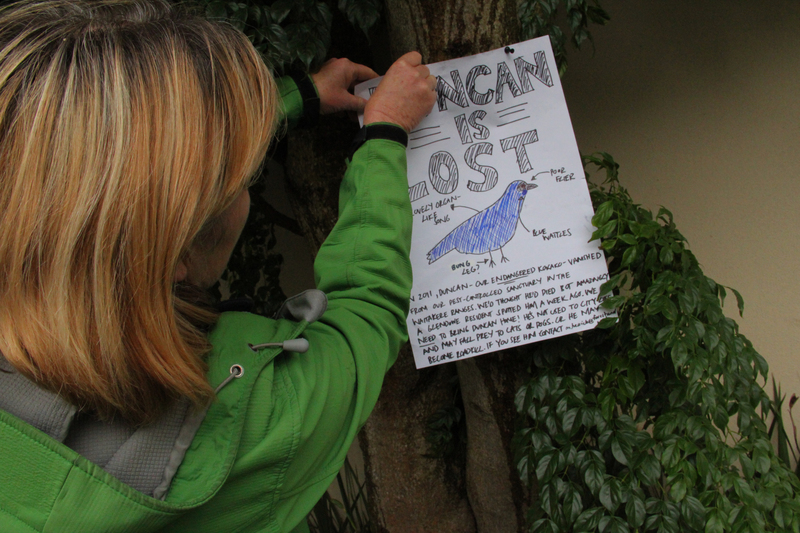 Many of the people in the neighbourhood are keen birders and Tiritiri Matangi supporters, so they’ve done a mail drop and they’re keeping a close eye on his whereabouts, and their cats. Some have traveled to the island sanctuary Tiritiri Matangi and woken before daybreak to catch a glimpse of a kokako – now they’ve got one in their backyard. All of them are honoured to have Duncan in their gardens, and a few have admitted they may shed a tear when he is returned back to this sanctuary. His estimated date of departure? Well who knows? From what I can tell he’s pretty cerebral to have evaded city-predators (read: cats and dogs), and seems to be doing a good job of evading DOC’s mist-nets over the past week. So far, he’s ignored the fake female calls played by catchers and seems to be enjoying bachelor life in Glendowie. Breeding season kicks off in September, so fingers crossed he’s back in the Ark in the Park by then so he can do his bit for his species. At the moment, we have 33 kokako living in this 3,200 pest controlled sanctuary (an Auckland council and Forest & Bird project), and well to put it plainly, we’d like him to shack up and settle down. Like any endangered species, kokako have to be well managed, so they come at a cost. Duncan is valued at around $20,000. 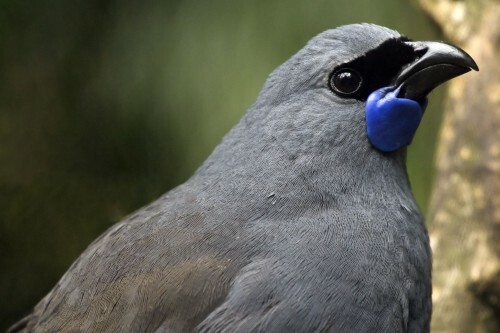 Kokako are notoriously hard to catch, so this covers the extensive catching time, disease screening, monitoring and the ramped up pest control that is required for endangered birds. Interestingly Duncan seems to be a surprise ambassador for pest-free New Zealand. He’s shown suburbanites the kind of birds they could get in their gardens, if they provided enough host-plants and conducted a little pest control. He’s really flying the flag for the species and may well rival the star status of Sirocco. In Wellington, Kelburn and Karori-ites have got kaka in their gardens thanks to Zealandia. And now, in Auckland, residents have this incredible blue masked bird. Wonderfully, instead of the two cities butting heads over cultural credentials, residents seem to be proudly battling to be NZ’s native bird capital. I imagine it will all come to blows at our annual Bird of the Year competition in September. I’m looking forward to it!